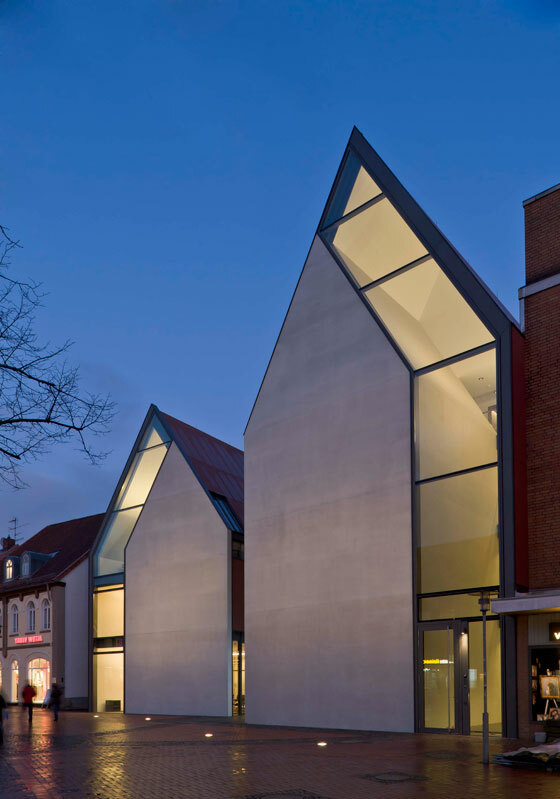 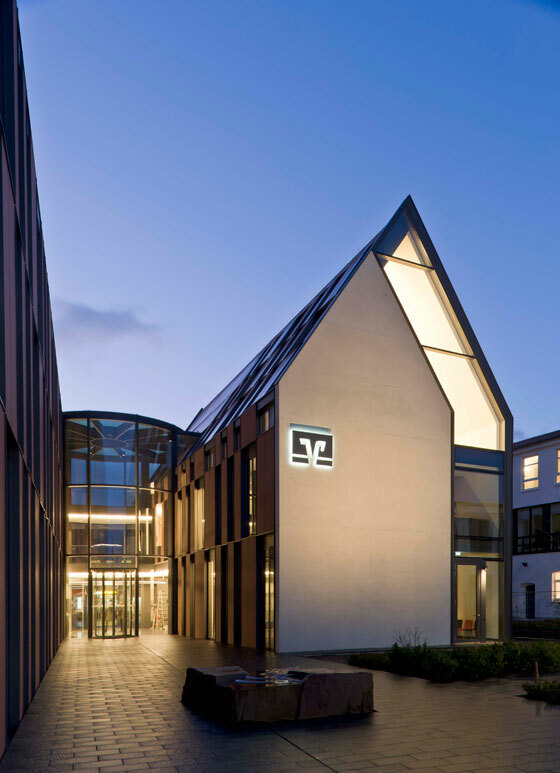 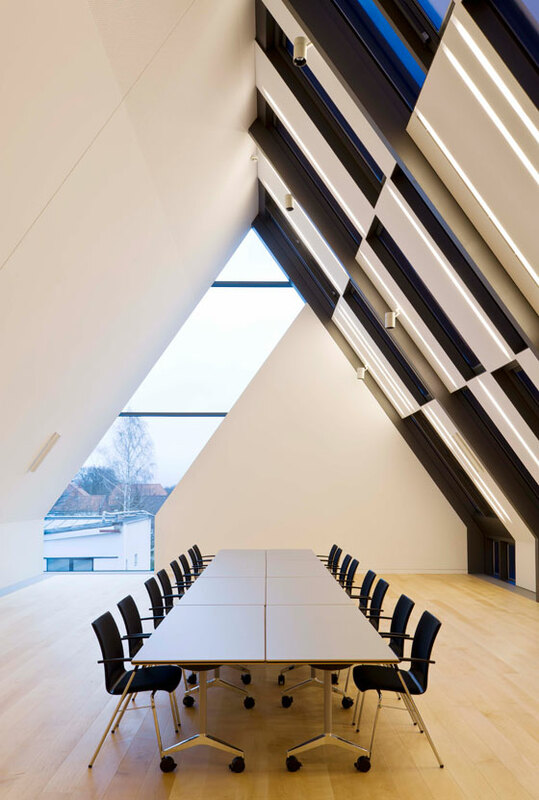 Having won the competition in 2009, the Berlin-based practice Stephan Braunfels Architekten have recently completed the new financial and services centre building for Volksbank Gifhorn bank. 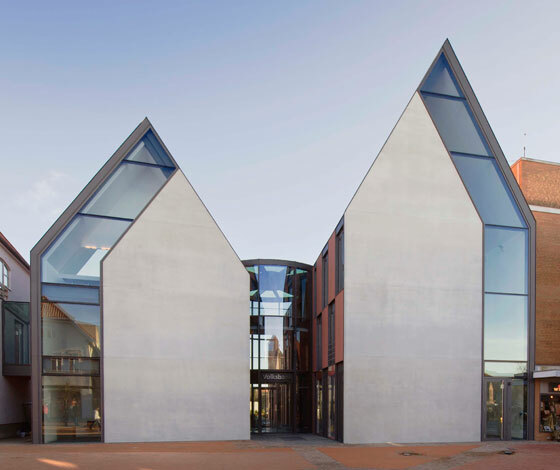 Located in the east of Lower Saxony in the town of Gifhorn, the 1.700-square-meter structure is composed from two, diagonally positioned to each other buildings. 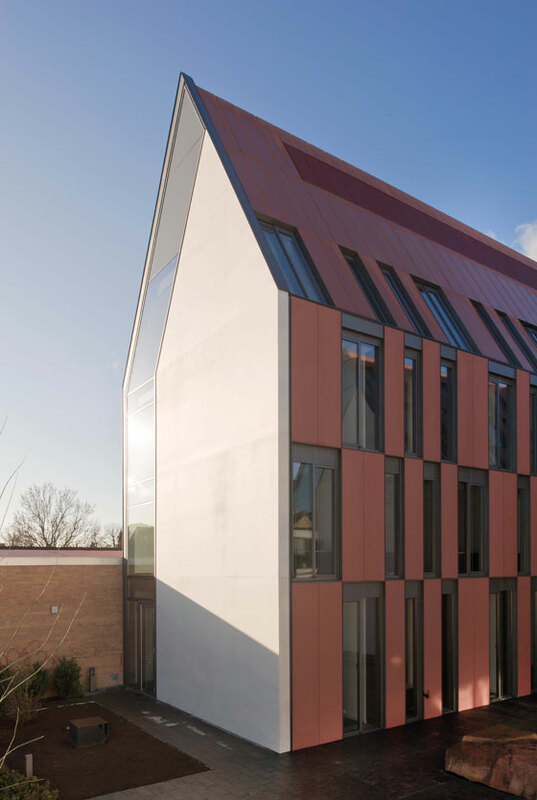 Characterised by a minimalist, exposed concrete walls, red brick facade and offset windows which trim the opposite edges of each building, the development echoes the archetypal form of the gabled house.